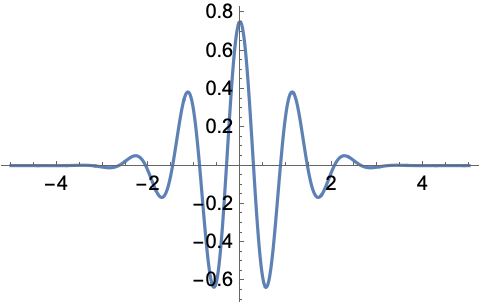 MorletWavelet defines a family of non-orthogonal wavelets. The wavelet function ( ) is given by . MorletWavelet can be used with such functions as ContinuousWaveletTransform, WaveletPsi, etc.